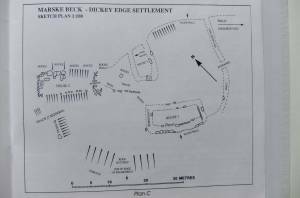 Location Dicky Edge. 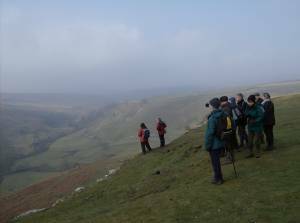 Throstle Gill. Cordilleras Farm. Geology Terrace below Slumped Rockfall of Richmond Chert Strata. Record Name Dicky Edge. Settlement of Early Medieval Character. 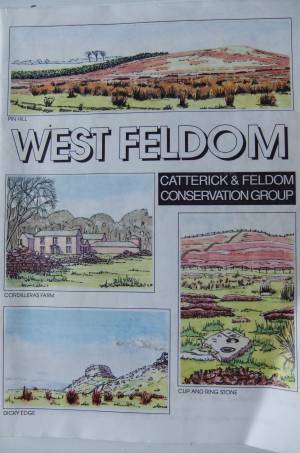 Record Description See 1:100 Sketch Survey, in: Catterick and Feldom Army Training Area Conservation Group Monograph. 'West Feldom'. The Archaeological Background,Plan C. T.C.Laurie 1990. Group of three rectangular buildings within a slight stone banked enclosure. The buildings have entrances marked by orthostats in the gable end. One building is at a right angle to the other two. 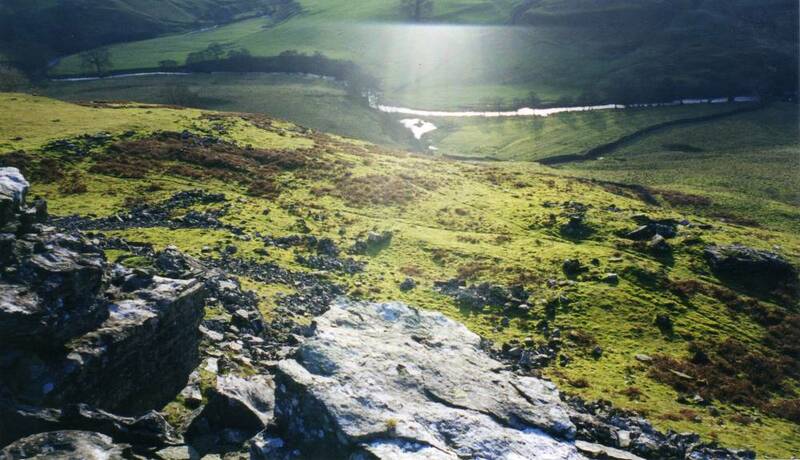 The terrace to the east of the settlement has been cleared and enclosed by rough stone banks. Within one of these banks is a circular structure which may be a corn drying kiln. Disturbed by stone robbing but generally in reasonable condition. Higher upslope, a large slumped section of chert rock strata has been quarried to form several small cells (recorded seperately) each with an angled entrance passage. There is evidence that these cells were roofed with corbelled stone, now collapsed but presumably once with timber supports. 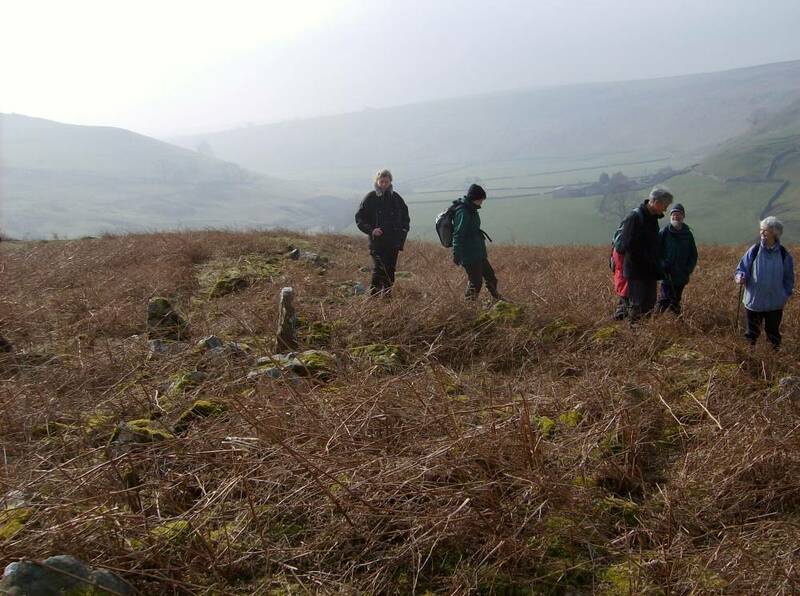 Several hut circles of prehistoric character (recorded seperately) are visible in scree to the east of the settlement. Dimensions See 1:100 Survey Plan attached. 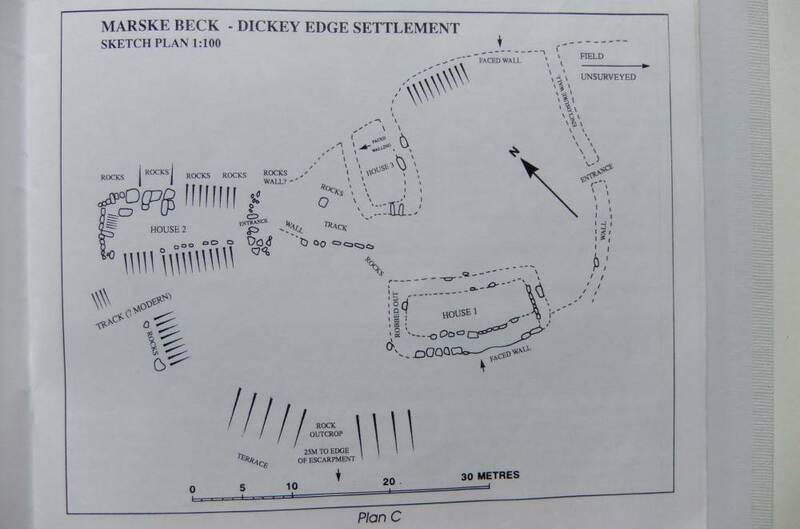 Additional Notes This settlement share certain morphological features with the excavated Pre-Conquest settlements at Gauber High Pasture, Ribblehead (King, A 1978) and at Simey Folds, Upper Teesdale (Coggins, D. 1986). For this reason, this settlement has been assigned an Early Medieval Date. 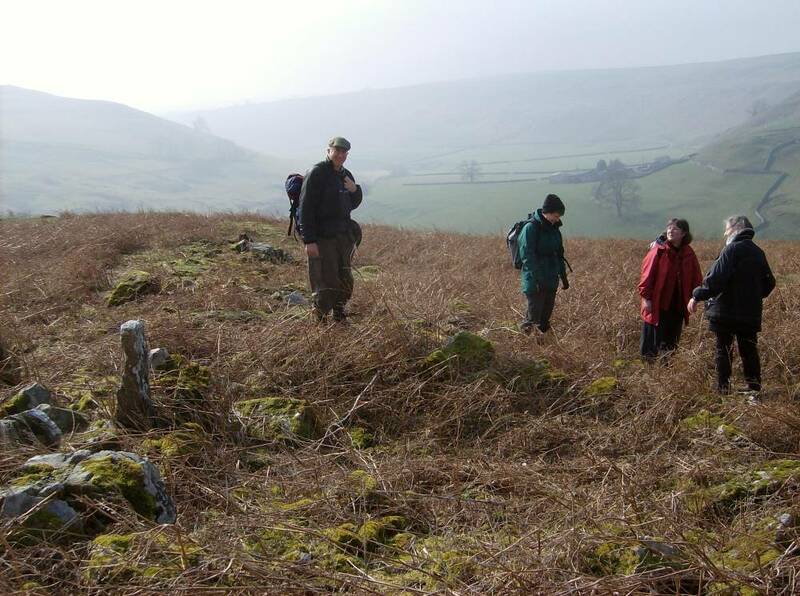 In Teesdale, iron bloomery sites are associated with the early maedieval settlements at Simey Folds and it may not be fortuitous that the only iron bloomery sites so far located in the Swale Catchment are in pasture close to the streams immediately below this settlement. Image 1 Description Settlement. Dicky Edge. 1:100 Survey. Image 2 Description Army Conservation Group Monograph, West Feldom 1990. Cover. Image 3 Description Settlement. Dicky Edge. Photo as seen from rockfall. Image 4 Description Reeth Museum Friends walk to Dicky Edge, March 2007. 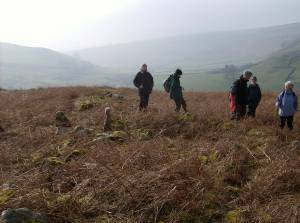 Image 5 Description Reeth Museum Friends walk to Dicky Edge Settlement, March 2007. 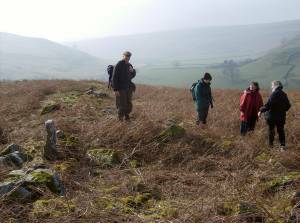 Image 6 Description Reeth Museum Friends walk to Dicky Edge Settlement, March 2007.